Attention. Focus. Comprehension. These are skills and traits of a successful student. Daniel Goleman, the author of the national bestseller Emotional Intelligence and newest book Focus, claims attention and focus are the number one predictors of success, yet our digital world is rapidly creating conditions that make it much more difficult to focus each year. In the world of pings, notifications, emails, texts and likes, our attention is pulled from the very tasks we attempt to complete. Have any of you had a plan, sat down to do something at your computer or at your desk to complete a singular task, and all of a sudden minutes, hopefully not hours later, found yourself on a social media site or playing candy crush on your phone instead? I have. Why? Technology is addictive. As we use this technology our neural pathways are formulated to begin to crave this activity, so without awareness we can find ourselves some place online we did not intend to be. Daniel Goleman himself talks about writing a blog entry, switching to the Internet to check a source, and 15 minutes later finding himself reading the about Congress on a news feed. What are we to do? In his book Focus, Goleman talks about three modes of attention. One is when people “daydream, waste hours cruising the Web or YouTube, and do the bare minimum required.” This type of disengagement is typical of rote or undemanding tasks. Others find their attention in a “state neurobiologists call ‘frazzle,'” where stress causes the amygdala in the brain to be stimulated which send the frazzled into fight, flight or freeze with an overdose of cortisol and adrenaline. In this state the pre-frontal cortext is overloaded causing one difficulty in accessing memory and abstract thinking. The ideal state is one of “full focus which creates a doorway into flow” but this state requires mindfulness training. When we look at what we ask middle and high school students to do, some may begin to understand why they are stressed, distracted, or up until midnight completing homework. When we learn to attend, we can intentionally direct our thoughts and focus, but it’s more than that. It isn’t just when we meditate or are mindful in the moment. With consistent meditation we’ve actually changed our brains so that the neuro pathways are different. If we think about the major tasks of junior year, it is not only academic, sports and extra curricular activities in school, they also include preparing for and taking the college boards, and many take both the SAT and the ACT to see which scores better represent their capabilities. When was the last time we, as adults, studied for these types of tests. Maybe some of us have had a mid-switch career and so took the GREs or LSATs, but I venture to guess most of us have not. It is grueling. The SAT is 4 hours long, and the preparation for it requires many different skills and tasks, tapping into different parts of the brain and different aptitudes. 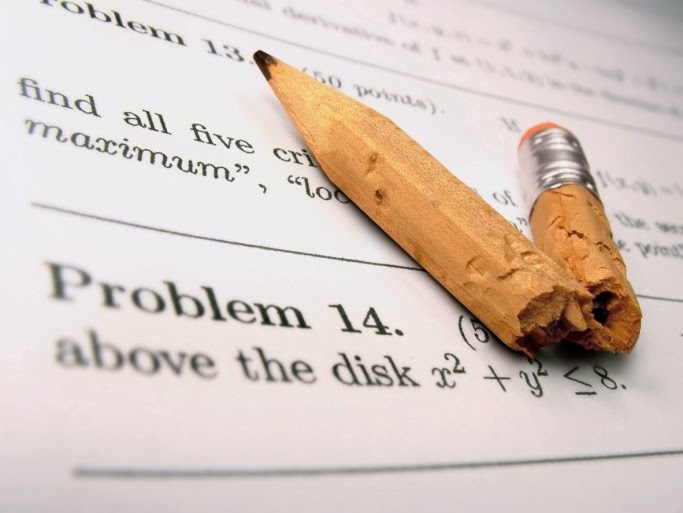 Many students take test prep courses or hire private tutors to learn the ins and out of these tests, but I question how many students are trained for the focus and attention that is required during those 4 hours. When students are not in a position to check their phones for a text, take a break to watch a YouTube video or play a 3 minute game, there is research to support the fact that they may experience the anxiety of nomophobia. In addition, many students are very stressed about their performance on the test, fearful that they may not be able to go to the college of their choice if they do not achieve a certain score. This test requires mental skills that many are not taught, nor required to practice. In a study at UCSB, post docs found that after 2 weeks of intense mindfulness training, GRE scores increased 16%. Even the researchers were surprised by these results. They are conducting further experiments. This has all types of implications for SAT and ACT Preparation. Many parents spend money on SAT and ACT prep, but how many parents pay for SAT and ACT Mindfulness Prep? Should we be? I say yes, and it is why I’m beginning to offer Mindful Test Prep which is not meant to replace current prep but to augment it. After talking with Travis Minor of Open Door Tutoring and Test Prep, we agreed that Mindful Test Prep would help many students, especially those who find it difficult to focus when they are completing both their practice homework and attending during the actual tests. In addition mindfulness helps with text anxiety and distraction. WHAT IS MINDFULNESS AND BEING MINDFUL?